Limited 1 for 10 Retailer Incentive Variant Cover. Written by Ed Brisson. Art by Mike Deodato. Cover by Tom Grummett. A LONG-LOST THREAT RE-EMERGES! LOGAN is confronted by an enemy from his past! 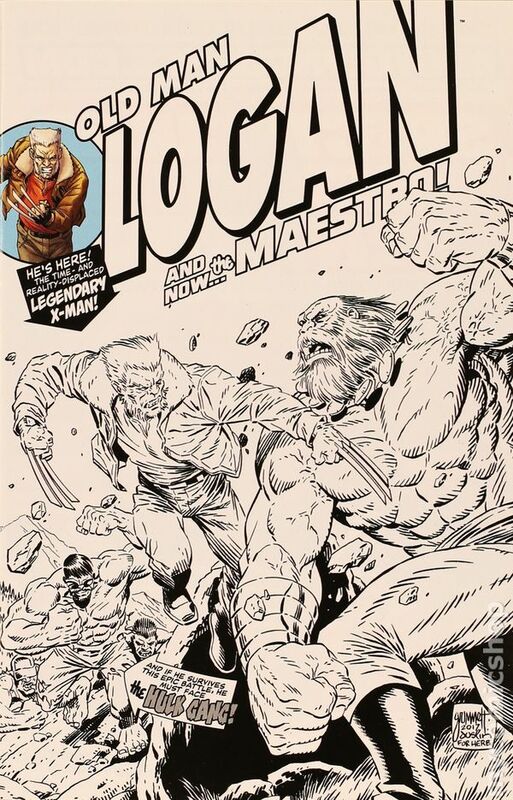 And if Logan's past is a dystopian future, you know this can't be good… ENTER: The MAESTRO! Don't miss the start of an all-new arc by breakout writer ED BRISSON and fan-favorite artist MIKE DEODATO JR.! 28 pages, full color. Parental Advisory Cover price $3.99. Black and White Retailer Incentive Variant Cover by Tom Grummett. Written by Ed Brisson. Art by Mike Deodato. A LONG-LOST THREAT RE-EMERGES! LOGAN is confronted by an enemy from his past! 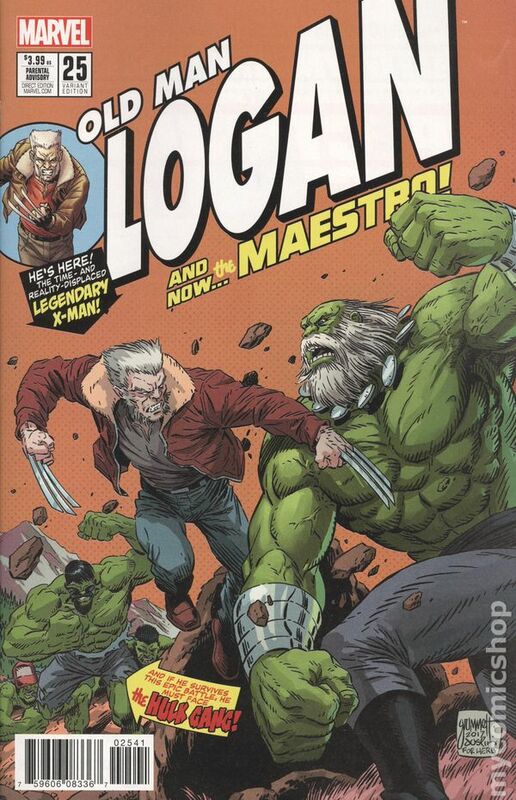 And if Logan's past is a dystopian future, you know this can't be good… ENTER: The MAESTRO! Don't miss the start of an all-new arc by breakout writer ED BRISSON and fan-favorite artist MIKE DEODATO JR.! 28 pages, full color. Parental Advisory Cover price $3.99.